You are Here: Techarta » Mobile Phones » What Should I Do with My Phone Before I Sell It? This is a good question indeed. There are many things, probably more than you buy a new one and you need to do before selling the old phone to someone else by using online selling portals like eBay. It is but natural to wonder about how to sell my phone online and it would be a fun when you complete the important phases successfully. 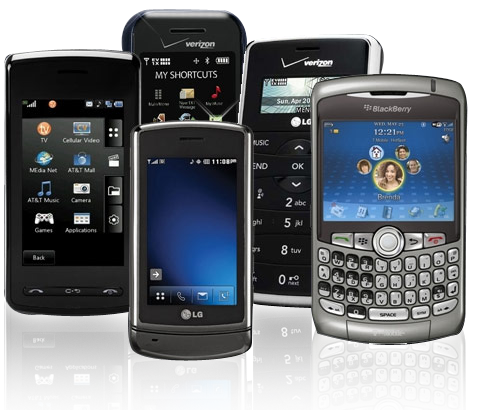 The organizations such as Pacebutler purchases old cell phone for cash. You can read Pacebutler reviews to know more about this organization. Let us look into those aspects in a chronology so that it would work as a checklist for you. Your phone is not a mere communication tool but much beyond this minimal scope. If you are trying to sell a smartphone like Android or iPhone you should ensure that all the data stored on the device is completely wiped out. Otherwise you would be giving away much of information about you that is stored in messages, chats, mails, calendar events etc. If you are selling GSM mobile, remove the SIM card as it carries critical information like contacts. If you are selling CDMA phone ensure that all the data is transferred to the new phone or backed up on an external device. This step is similar to the removal of SIM card. Ensure that the memory card is taken out of the old mobile and kept secured or inserted in the new mobile. You should ensure that your mobile is worth something. It should be in good condition without visible deformities. When you are selling an item you should be able to describe it. So, you should be aware of the make, model and features etc. of the mobile and convey them to the buyers. This would make the buyers to know that they are buying the right piece. With clear information on hand, buyers can take quick decisions which works for you to sell the phone fast. You are the best judge about the usefulness of the old mobile. For a moment think that you are the buyer and use the rationale to decide the price. Do not shy away to give a reasonable price when the mobile is fully functional and working as good as a new one from that make and model. On contrary never overprice the old stuff beyond its scope. Whether you are selling through an online portal or through a direct sale, keep the buyer in a comfort zone by accepting payment in more than one payment mode. This would encourage the buyer to arrive at a speedy conclusion and you too can dispose the item quickly. In case you are selling to a buyer who is from a distant place, you can ship the item by negotiating the shipping costs with the buyer. Take a good care of the packing so that the item reaches in good condition. Last but not least, do not forget to hand over accessories like power charger, USB cord, software installation CD, handbook, guides etc. that you would have received at the time of buying. The buyer would be needing all of them for the complete utilization of the phone.